I thought at this point it might be a good idea to establish the rules of my movie blog, if nothing else to keep me honest. But before that I'd like to establish a brief history of the drive-in movie theater. The 1950's saw the drive-in movie taking off like gangbusters. 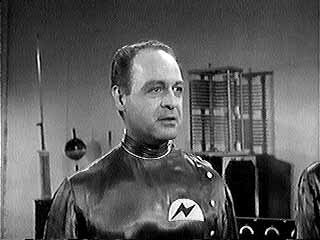 According to wikipedia there were around 4000 of them across the US by the early 60's. It was a family friendly type place. As I said in an earlier post, my parents could take my sister and I to one without a worry about crying babies or noisy kids. Several factors led to the decline of the drive-in. The oil crises of the 70's led to more people just staying home. The advent of VCRs and Betamaxes made watching movies in your home a more viable option than gassing up to go sit outside to watch one. But the real culprit, in the end, I believe, was the value of the land being used for the theaters. As with the two in my home area, most of the ones closed down to be bulldozed and used as other higher-profit ventures. By the 1990's, there were very few drive-ins left. They had "gone the way of the dodo" so to speak. But I have seen a revived interest and some new ones being opened in recent years. It may just be a fad for the nostalgia driven and older retirees wanting to relive the bygone days. But at least there is hope. To establish this blog I need to set some rules. 1. With the only exception of entering a blog-a-thon that requires it, I will refrain from reviewing silent movies. 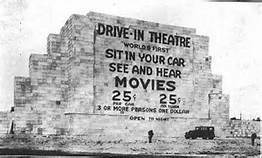 In the early days there may have been drive-ins that ran silents on occasion, but those are better seen in indoor theaters in my opinion and thus not fodder for the drive-in. 2. Movies I review will almost always be in double feature format, because that is my experience. When I grew up and into my twenties and thirties, going to the drive-in ALWAYS meant two movies. If I review and extremely long movie, however, (over 3 hours) I will only review one movie. Sticking to the true essence of the drive-ins, none of them would still be running movies into the wee hours of the morning. 3. I will TRY to set the upper limit of the date of the movies to 1990, thus keeping it real. I only want to review movies I could have conceivably been able to see in drive-ins at the time they came out. I've never had the pleasure of experiencing a drive-in movie. Sadly I was born on the wrong side of the Atlantic. Much like the drive-ins in your part of the world, the traditional cinemas of my youth, with seats in the balcony and an intermission for refreshments have almost completely vanished. The multiplex, DVDs and downloads may reign supreme but I've still got my memories. Thanks for sharing yours! I find I've steered away from the double feature rule quite a bit. Drive-in theaters have started to make a comeback in some parts of the country now. Unfortunately they are showing what Joe Bob Briggs refers to as "indoor bull stuff". I'd really like to see a comeback of the trashy flicks they showed in the 70's and 80's. Maybe that is on the horizon.